As far as I remember I always had the DX spots where they should be. While I was testing/resolving another issue, I saw that I was connected to a telnet cluster as usual. For some reason I only got the welcome message after connection. And some WX messages. But no DX spots whatsoever. So I fooled around with the settings, enlarged the chatwindow and, much to my surprise, there were the spots. 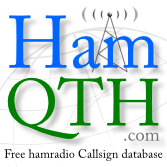 Only, the background color is somewhat yellowish and no spot is marked with a color to tell eqsl or lotw. And I suspect that a new (band) country would also not be marked as such. Nor do they come up in the bandmap. Now, where did I go wrong and how to get it back again like it should be? 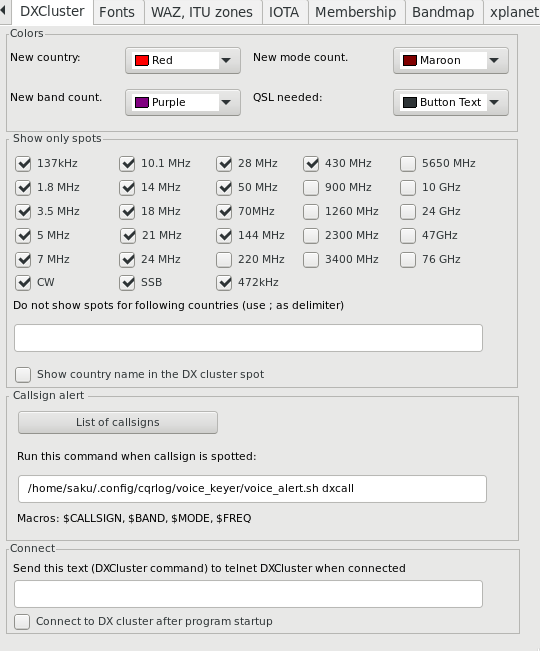 Check how it is with dxcluster you are using. I tried again and again but now I see no spots anywhere. Only the announcements and a welcome message from the cluster. I dit the same test and that works. I sent myself a test message which came in the chat window. But no spots at all. Nowhere to be found. It looks as if I enabled a filter that filters every single spot to be rejected. Of course that seems impossible. I checked the bands in "preferences" and they are set okay. I am clearly connected to the cluster(s) but none of them shows any spot in the cluster window. And today, also not in the chat window either. Commands like sh/dx or sh/dx 50 or sh/dx/50 are echoed back but no spots at all. Sorry, saw your message too late.. I can see you on the cluster and send also some chat lines to you. If you think you have some filter presets at dxcluster. No problem with your login. Must be at cqrlog side. Yes, I see. I will start CQRlog in debug mode and see what happens. Maybe a database issue or something. Copied your link from chat window but lost it by copying something else. Thank you again. Installed your version. Looks good! But, at first, still no DX spots. Found out I was so busy setting up TRX Control and while doing that, I set all frequencies to 0. So, CQRlog was unable to sort out whether a spot should be displayed or not. It decided to show nothing at all..
Now I am somewhat confused which frequency should be where. It says "Begin", "End", "CW", "RTTY", "SSB" and then some offsets. Since I set all at 0 I have no real clue what is what. Nevertheless, I got my cluster window working again.